"A national network of local groups of volunteers engaging local communities to strengthen public health, reduce vulnerability, build resilience, and improve preparedness, response and recovery capabilities." We love how dedicated you are to serving communities like Houston in a desperate time of need! We have recently received many inquiries about deployment opportunities and supporting Houston agencies in response. We wanted to share some information about the status of response and MRC’s in WA State. 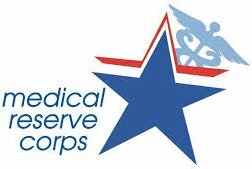 WA State has no current requests from Texas on medical volunteers, and therefore no local MRC’s have been activated. Local MRC’s in Texas and surrounding states are responding, so they do have a supply of medical personnel. WA State would need to activate and have a request for this specific support in order to provide the appropriate licensure, liability, and workers compensation requirements for volunteers to go out of State, as we are a ?no compact” state. Self-deployment is not advised, as this can create a burden on local communities and you may be at risk with your license or liability. There are organizations, like the Red Cross, who are nationally deploying volunteers, but you would need to investigate the best way to “on-board” with those agencies, as they are using resources closest to Texas. We will keep you posted on anything changing with this atmosphere, as we also are experiencing our own natural disasters closer to home. Joining us will provide you those needed credentials and coverage in the event we are activated. Happy to talk with you more about these things. If you have any questions, please feel free to email us at mrc@tpchd.org . For the October 2017 General Membership Meeting, we will be participating in a Stop the Bleed Training. Stop the Bleed is a training course for ALL volunteers, clinical or non-clinical. So we hope to see each of you there! 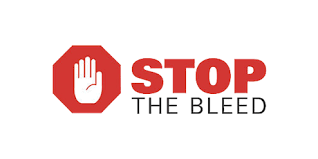 Stop the Bleed offers training on the use of tourniquets and packing wounds, and has been developed in response to traumatic events that have occurred throughout our country. We have the pleasure of learning this from a trauma nurse with great experience. In the event of a potential public health emergency stemming from naturally occurring emerging disease (e.g. pandemic flu), or a natural disaster (e.g. volcanic eruption, tsunami) or from a terrorist attack with a biological, chemical or radiological/nuclear material, FEMA and the Emergency Management System will look to the MRC, as well as other agencies, to distribute medical countermeasures (MCMs) to the public in an attempt to prevent the spread of disease. equipment ( PPE ), such as gloves, respirators (face masks), and ventilators. Information and training of the various roles (both medical and non medical) is scheduled for early 2018 . The emphasis will be in setting up and working distribution sites within the MRC. 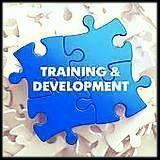 Your role will be identified at the training so attendance is critical. This will be followed by an exercise simulating an actual event late spring/summer, 2018 . Watch for more information in the coming months and plan to attend this training. On May 9, 2017, the City of Tacoma declared a public health emergency over the increasing incidence of homeless encampments. The Tacoma-Pierce County Health Department responded by activating the Pierce County Medical Reserve Corps (MRC). The MRC leadership team was engaged from the start, meeting with the City and service providers to prepare for a realistic activation. MRC has attended weekly Phase One or Two meetings as the city transformed mitigation efforts at the original site towards the stability site. These meetings have led to the development of partnerships in order to address public health concerns. MRC has had a team of two RNs on site biweekly since July 11, 2017 every Tuesday and Friday for four-hour shifts. The planning and partnership building has resulted in the creation of an algorithm which is used to help nurses direct clients to appropriate care providers. The partnership includes major players, such as the peer-to-peer counselors (Catholic Community Services), and the van and driver (Salvation Army). Many of these clients have medical needs that will not be met due to barriers, such as deep-seated lack of trust and mental health disabilities. Despite the difficult setting, there have been several success stories, as the nurses have encourage self care, to be followed up with appropriate medical attention at our federally qualified healthcare clinics. MRC intends to stay at the Phase 2 site for the duration of the activation. Pierce County MRC will be offering a HAM Radio Certification Class on November 11th, 12th, and an Exam on the 14th. 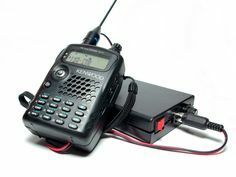 This is ideal for member interested in joining the Tactical Communications Team. If you would like to participate, please contact the PCMRC office. Do you know a high school student interested in a career in healthcare? Check out the Pierce County Medical Explorer Program ! Medical Explorers allows teens to explore medical careers through hands-on, health career opportunities with health care professionals and local health care organizations. The program meets once a month for 2 hours, September through June and costs $35 per student. For more information and/or questions, please contact: Pierce County Medical Reserve Corps at 253-798-3566 or mrc@tpchd.org . Add Medical Exploring to college, job and scholarship applications! The Volunteer/Retired Providers Program is funded by the Washington State Department of Health (DOH) and managed through the Western Washington Area Health Education Center (WWAHEC). The program is designed to encourage health care volunteers in Washington State by paying the malpractice insurance premiums for those providing non-invasive care to underserved patients. Volunteers who only use their Washington State professional license for volunteer work are additionally eligible for license renewal. All professional license and malpractice insurance costs, other than late fees and testing fees, are covered by the Washington State Department of Health.